24 October 2018 Unlocked content from the archive. Australian swimmer Brad Cooper won gold at the Munich Olympic Games in 1972. The Finest Gold is a coming-of-age memoir that looks at Cooper’s teenage years and the amazing route he took to become a champion. At 15 years old, Cooper started training with famed coach Don Talbot, also known as ‘Ming the Merciless’. He went on to make some great friends, travel the world and break two world records. 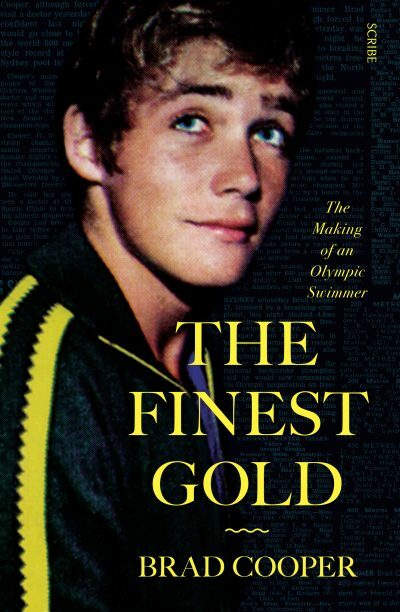 While The Finest Gold is ostensibly a sporting memoir—and it does cover in fascinating detail the punishing regimes and mental requirements for success—its real charm lies in Cooper’s dazzling, shimmering prose and idiosyncratic portraits. The book’s style features a mixture of Proustian detail (a teacher’s hair is described as ‘a fashionably long fringe today, a feathered dovetail fanning the back of a chic reverse collar on her flute-breasted rayon blouse’) and a teasing wit reminiscent of Nancy Mitford (the sections lampooning his mother’s boozy afternoon get-togethers are a hoot). All this against a vivid background of 1960s and 1970s Australia: the pop music, counterculture and the Cold War. The Finest Gold is a gorgeous, sumptuous feast of a book. Cooper is a naturally gifted writer whose brilliance appears effortless. Its entertaining pages will appeal to both sporting fans and the general reader.